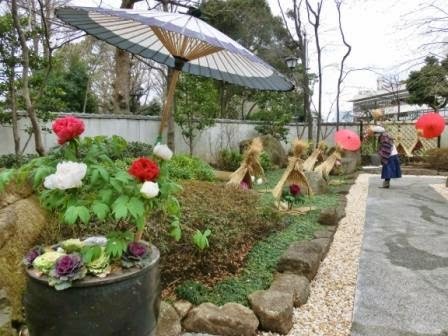 http://blog.tokyo-direct-guide.com/2014/01/winter-peony-garden-in-ueno.htmlbut I took many photos that I hope to share with you this year. 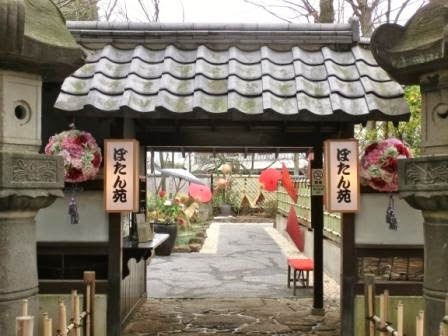 Toshogu Shrine has been renovated, and I think that the renovation was very successful – The Peony Garden became more beautiful than ever. The descriptions are at the bottom of this post and on the post of last year, so just enjoy photos first! 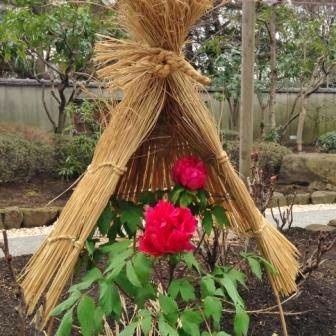 Back to basics, it is traditional straw snow fences that surround peony flowers. They are protecting the flowers from snow. Cool, isn’t is? 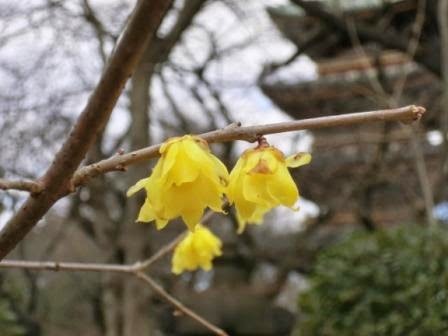 Yellow plum blossoms were flourishing. The pagoda is seen over there. This year, they added some Christmas roses in the garden. 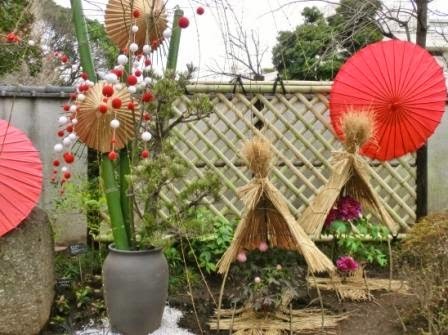 The flowers themselves, not where they are originated, are important for a garden’s beauty. 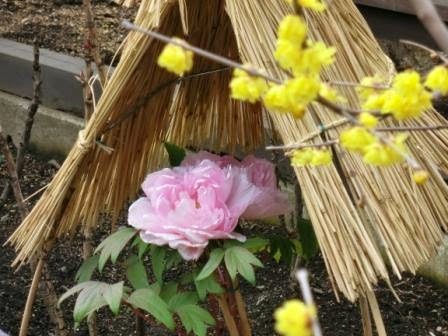 I felt that the Christmas roses accentuated peonies effectively. They had some new year decorations this year. So beautiful! It’s a traditional cafe with traditional heaters. Tokyo has so many places to visit. And purposes to travel in Tokyo depend on the traveler. Some hope to see every must-do & see, some are on business, some want super trendy items, some are absorbed in okaku pop culture, and others are interested in exotic, calm culture. 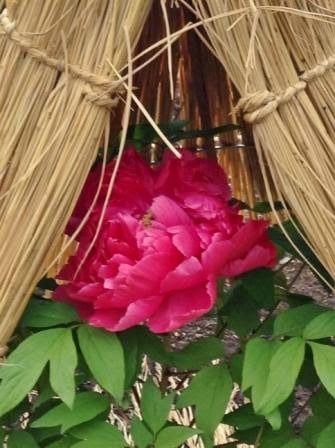 I’m confident that Winter Peony Garden is a must-see. Pleased to share them with you, thank you for reading! 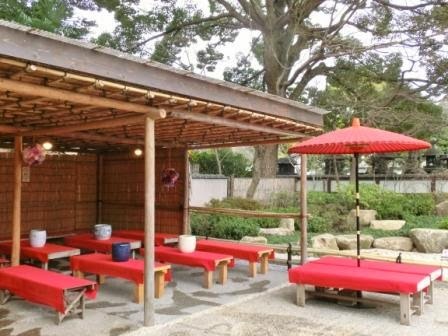 Ueno Sightseeing Guide & Hotels: All about attractions, museum data and accommodation in Ueno. Where I live, I won't ever have to worry about protecting flowers from snow!! Sometimes there's a heavy frost, but that's as bad as it gets! 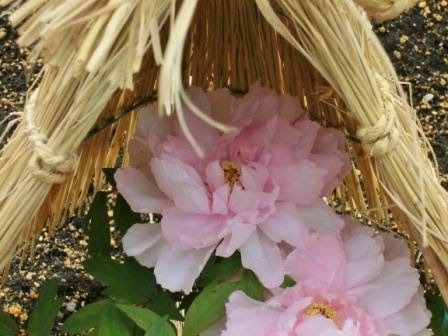 The peonys are so beautiful – I'm not surprised they're a tourist attraction! I realized that it needs a climate with snow, of course! It's interesting that the climate sometimes makes a culture.